The City of La Quinta is a resort town located in Riverside County, California, specifically in the Coachella Valley between Indian Wells and Indio. La Quinta is almost entirely surrounded by the Santa Rosa Mountains making for specular views from almost anywhere within the city. The name of the city, in Spanish, literally translates into “the fifth”, but also in Portuguese, a “quinta” is a wine producing estate, which can be a winery or a vineyard. If you are searching for the perfect golf course community for a second home or for a full-time residence, La Quinta has one of the best selections of high-end and mid-range golf and country clubs in the Coachella Valley. See the list below of all the fantastic options for golf course communities in the beautiful city of La Quinta! Andalusia at CM is a luxurious country club in South La Quinta. This beautiful community boasts double-wide fairways, must see mountain views, a spectacular clubhouse, tennis, pickle ball, and a superb mix of modern and Spanish architecture. Located in the heart of city, Duna La Quinta is close to shopping, grocery stores, schools and is walking distance to Old Town La Quinta. This guard-gated golf community boasts tennis courts, community pools, 36 holes of golf, open space to stroll, and exceptional views of the Santa Rosa Mountains and golf courses. This gated community of approximately 60 homes has homes on locations on and off the renowned Dunes golf course. This well-received enclave of homes was built from 2000 to 2003 by Sedona homes. The high quality homes in this development offer semi-custom Spanish architectural style homes in a great location near Old Town La Quinta. This pretty development has homes on and off the Dunes golf course and was built from 1991-2002. Since the development is attached to the Dunes Course there are options for residents to take advantage of the La Quinta Resort programs including golf, fitness or a social membership. This wonderful development attracts interest from home buyers looking in the La Quinta area due to the advantages of being near hotel and resort amenities. At Los Estados home buyers will enjoy golf, tennis, spa, retail, and a varied selection of on-site restaurants. This legendary country club, born in 1959, is one of the highest rated golf courses in the Desert. This golf course weaves it’s way through Spanish-style haciendas, custom homes, mid-century modern homes, and beautiful condos. Truly, home buyers can find a style of home to fit their personal taste. The gorgeous new clubhouse, opened in 2011 is chalked full of amenties, fine dining and more. Private equity members gain full access to all the top-tier services and amenities offered at this historic club. 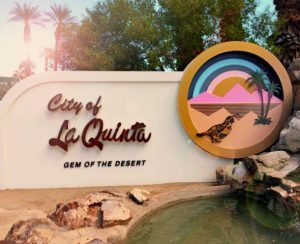 The La Quinta Country Club (LQCC) includes the individual subdivisions of LQCC Estates, LQCC Fairways, LQCC Lago La Quinta, LQCC Montero Estates and LQCC Villas of La Quinta (see these individual subdivisions below). As a part of the La Quinta Country Club (LQCC), LQCC Estates a prime example of the Desert lifestyle. With vistas of lush green golf course fairways, sprawling lakes and pretty mountain views everywhere you look LQCC Estates will not disappoint! This subdivision of the La Quinta Country Club is a beautiful, centrally located hub for golfers and non-golfers alike. With beautiful vistas and homes on and off the course home buyers looking for the perfect desert oasis in La Quinta should consider beautiful area! Located on the Northwest corner of La Quinta Country Club Estates this subdivision is perfectly nestled in central La Quinta with some of the most spectacular views anywhere. This pretty enclave in LQCC features duplex condos surrounding a central lake. Within walking distance to the clubhouse this small subdivision has a community pool/spa and condos on and off the golf course. Located in the Southeast corner of LQCC, Montero Estates features single-family homes on and off the golf course. With 3 community tennis courts and all the benefits of the resort living offered in La Quinta Country Club this subdivision is a beautiful option for those seeking the perfect desert dream home. These affordable condos located on the golf course are a great option for people searching for a smaller low maintenance desert home in beautiful LQCC. Mountain View CC is is the epitome of a desert lifestyle with world class social opportunities and amenities. With an 18-hole Arnold Palmer designed golf course, regal clubhouse, restaurant, cantina, pro-shop and state-of-the-art spa and fitness center the experience is pure luxury. Palm Royale Country Club is an affordable option for condos in a prime location on the golf course. For those searching for Spanish-inspired architecture in 6 scenic enclaves overlooking the 18-hole golf course look no further. Each enclave features its own tropical style pool, and jacuzzi. The iconic PGA West is a golf touchstone for enthusiasts around the globe. Home to several PGA tour events since it’s inception in 1986, the six courses have been walked by some of the legends of golf. Homes in PGA West range from high-end custom homes to individual condos and duplexes with almost every home residing on the golf course. Here you will find luxurious amenties like tennis courts, pools, fine dining, and much more! Homes on the Greg Norman course at PGA West sit happily on a desert style course. Uniquely, almost every home in Greg Norman has a pool, a spa or both! The luxurious experience, beauty of the homes and stunning landscape of this community will leave you breathless. The homes in Legends are located on several of the golf holes of the Nicklaus Tournament and Weiskopf golf courses. Featuring to both golf course condos and single family homes the Nicklaus Private course offers stellar views on a world renowned golf course. This popular residential community has some of the best mountain views at PGA West and has both single-family homes and condos. Palmer Private is one of the 7 communities that comprise PGA West. This much sought after community has both condos and single family homes on course that back-up right to the mountains. The Stadium Course is the golf experience that first comes to mind when thinking PGA West. This Pete Dye designed course is the host to Career Builder Challenges and the PGA Tour “Q-School” finals. This most legendary of courses is the home of the famous (and infamous) hole #17 know as “Alcatraz” where Lee Travino drained one of golf’s most famous hole-in-ones to win him a carry over Skin worth $175,000 in 1987. Here you can find your piece of golf history with a home on the Stadium Course to call your own. Weiskopf is the premier experience in PGA West, featuring custom homes, single family homes and , a beautiful course, lake and mountain vistas. making for a true desert lifestyle for residents of this community. The new home community of Monterra is located within the Greg Norman residential neighborhood, renowned for legendary golf and desert lifestyle. The private enclave of Monterra will consist of 39 luxury single family residences, surrounded by the beauty of the Santa Rosa Mountains. A new home development in PGA West. For options to purchase a home in this community interested parties must contact one of our agents direct. Click here for agent phone numbers. Rancho La Quinta is a private gated community built in 1994 and located on 700 acres, at Washington, South of Highway 111 on La Quinta, California. Residents enjoy outstanding views of three magnificent mountain ranges, amenities and active lifestyle to match and exceed most country clubs in Coachella Valley. Entering the private gates at The Citrus Club in La Quinta, you’ll soon discover how the Citrus Club received its name. As the name suggests, the Citrus Club community was developed within a vast grove of citrus trees, many of which still grace the Citrus grounds today. The ultra-luxurious Desert lifestyle offered at The Enclave & Enclave Mountain Estates can only be described as superb. The privacy and security of this Desert resort is matched by a select few developments in the Desert. The world-renowned Mountain Course at La Quinta Resort & Club sits adjacent to the property and many homes offer unmatched panoramic postcard views of the course. The luxury-resort experience is only furthered with access to tennis, golf, spa and salon services, fitness, high-end retail and a plethora of other amenities. For those seeking the pure desert luxury living, the Hideaway offers residents unparalleled privacy, security and amenities. Every aspect of the Hideaway fromt he Citrus-lined drive to the Clubhouse to the myriad of unique activities, every detail of the experience is manicured to perfection. The Hideaway offers a selection of 446 custom homes, homesites, villas and bungalows designed to accommodate individual buyers needs. This community features some of the most high value residential properties in the Desert. With homes listings prices reaching as high as under $29.7 Million the Madison is truly at the peak of luxury property in the Coachella Valley. Homes in this community have extravagant amenities like private driving ranges, helicopter pads, home theaters, all-side infinity pools and a plethora of other custom designed features. The Tom Fazio designed golf course offers guest maximum privacy and security in a refined setting. Home to, and designed by, prestigious members Fred Couples and Brian Curley, the Palms is known for its manicured greens, beautiful fairways and a commitment to courteous play. The Palms is a place for old-school purists, traditions and lifelong friendships are made. The Palms offers space for 85 custom built homes located around and in The Palms Golf Club in the Southern La Quinta. At this prestigious community in La Quinta expect to be impressed by the architecturally diverse homes and beautiful homesites, each situated to showcase the surrounding environment. With more than 100 homes and sites, the custom homes in this beautiful community are truly exquisite in their design, craftsmanship and innovation. The luxury community of The Tradition features contemporary, hacienda, Spanish Colonial, and Early California style homes that line the lush green fairways. There is also a smaller enclave within the Tradition called “The California Village,” which features seasonal homes. For smaller properties, Tradition has a limited number of bungalows that are approximately 2,500 square feet in size. The Trilogy La Quinta Country Club is a 55+ and over retreat is designed for easy resort living, nestled near the base of the Santa Rosa Mountains in La Quinta, CA.